Mueller Report Failed to Move Trump’s Approval RatingsDespite Barr’s spin and the damaging evidence in the actual report, Trump remains an unpopular president — who could still win reelection. Joe Biden Reportedly Pushes Campaign Announcement to ThursdayHe’s “been running for president since 1987 and can’t figure the basics out, like where to stand on his first day?” said a former aide. The Turnout Boom in 2018 Was a Preview for 2020A Trump-centric election and the expansion of ways to register and vote early should combine to keep turnout as high in 2020 as it was in 2018. Bernie Sanders: ‘Democratic Socialist’ Is Just a Synonym for New Deal LiberalSanders said Monday night that being a “democratic socialist” just means believing in FDR’s Second Bill of Rights. Texas Senator John Cornyn’s Path to Reelection Just Got TougherTexas Democrat MJ Hegar narrowly lost a congressional race in 2018. Now, she’s taking on Cornyn. Biden’s Shock-and-Awe Strategy for 2020 Race Smells Like Jeb’s in 2016Jeb Bush offers an eternal cautionary tale for early front-runners with ideological baggage. Medicare for All Should Hurt (Some) Hospitals and DoctorsAchieving health-care justice in the U.S. will require taking on price-gouging hospitals and overpaid specialists. Highlights From CNN’s Town Halls With Five 2020 CandidatesDemocratic candidates Amy Klobuchar, Elizabeth Warren, Bernie Sanders, Kamala Harris, and Pete Buttigieg appeared at Monday night’s event. Watch Amy Klobuchar’s ‘Please Clap’ MomentDrawing Jeb Bush comparisons isn’t the greatest move for a Democratic candidate who’s currently polling at 2 percent. Bernie Sanders Doesn’t Need 2016 Support Levels to Win Lots of DelegatesThe 15 percent minimum threshold for winning delegates will make it easier for front-runners like Sanders and Biden to hog them. Elizabeth Warren Is Coming for Your Student Loan DebtWarren’s sweeping plan to cancel tens of millions of Americans’ student loan debt sets a radically progressive standard for the 2020 field. All the Democrats Who Are — and Aren’t — Running in 2020A guide to everyone hoping to take on Trump, from Cory Booker to Andrew Yang — and those, like Oprah, who are sitting this one out. Democrats Should Court the Economically Anxious Trump Voters Who Don’t ExistIt is the political scientist’s job to accurately describe the marginal Trump voter’s motives. The politician’s job is to change them. Should Democrats Impeach President Trump?Intelligencer staffers debate whether it would be principled or foolish to impeach the president with the election on the horizon. The Fed Has Good News for Our Economy — and Trump’s CampaignThe central bank has decided to stop sacrificing economic growth to fears of phantom inflation. That could spur wage growth — and Trump’s reelection. 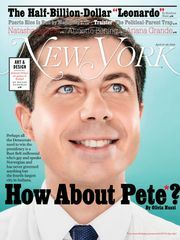 Is Pete Buttigieg Literally Parks and Rec’s Ben Wyatt?A young mayor, board-game enthusiast, and Leslie Knope fan could be the next U.S. president — in Pawnee, and in real life. Should Establishment Democrats Fear Bernie Sanders?Intelligencer staffers discuss the Vermont senator’s uneasy relationship with party insiders, and whether he’s any less electable than his rivals. Poll Shows Roy Moore Is Still the Wacko to Beat in AlabamaMoore may draw multiple GOP rivals, but don’t bet the farm against him — or against Democratic incumbent Doug Jones. William Weld Isn’t Going to Save the GOP From TrumpThe former turned current Republican is as much of a threat to Trump as the gnats Richard Nixon swatted aside in 1972. Trump Raises $30 Million in First Quarter, Smashing Democratic NumbersFor Democrats, just as distressing as the total is Trump’s success with small donors: a reported 99 percent of donations were $200 or less. Report: Joe Biden to Run Obama Nostalgia CampaignAs the party moves to the left, Joe Biden is banking on the Obama bubble. Pete Buttigieg Announces Presidential CampaignWelcome to the race, Mayor Pete. Mayor Pete Is the Democrats’ Folksiest Heartland Hope. 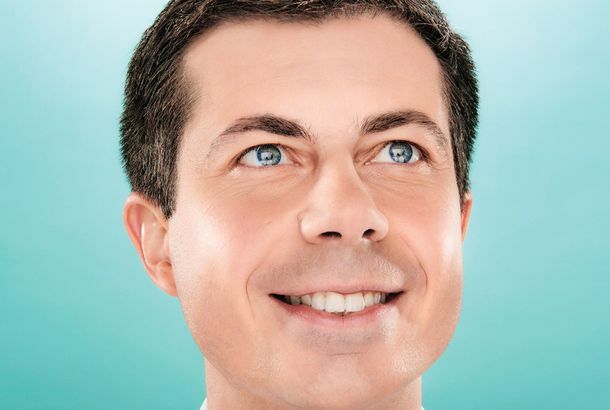 Really!Perhaps what they need to win the presidency is a gay Rust Belt millennial who has never governed anything but the fourth-largest city in Indiana. Echoing Trump, McConnell Calls for Making 2020 a ‘Referendum on Socialism’When conservatives cannot tout their own agenda, launching a Red Scare is a handy perennial approach. Massive Stop & Shop Strike Raises the Stakes for 2020 DemocratsAs a national strike wave continues, Democratic candidates will have to work hard for labor’s vote. Andrew Yang Plans to Use a 3D Hologram for Remote CampaigningWatch Yang’s hologram duet with Tupac’s. Trump May Freak Out Florida With Green Light for Offshore DrillingFlorida Republican elected officials fear Trump’s relationship with fossil-fuel industries could lead him to a politically disastrous decision. Bernie Sanders Can Still Set Himself Apart on Medicare for AllHis Medicare for All plan is now just one of many in the 2020 field, but he has some advantages over candidates open to more incremental reform.